​have you ever asked any of these questions? Why did God require Jesus/Y’shua to die on the cross? Why didn’t He just "fix" it? In the Eden account in Hebrew, we see that the central issues revolve around two pairs of ideas: blood and seed, nakedness and covering. These are ancient Semitic symbols for the concepts of life/lineage, and honor/shame. 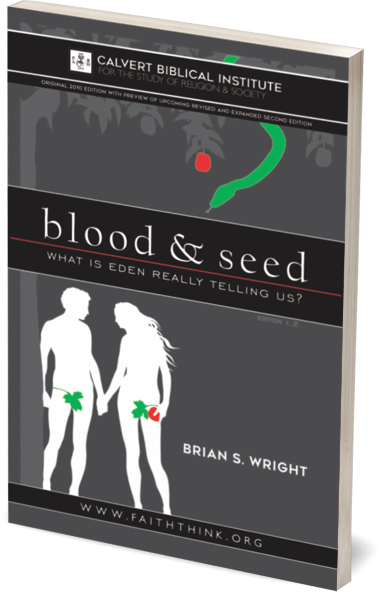 These fascinating concepts, and much more are explored in Blood & Seed: What is Eden Really Telling Us? This book was originally published in 2010 as Blood & Seed: What Really Happened in Eden? That original edition is presented here, with the inclusion of a new introductory section, previewing the additional insights and resources that will be included in the second edition. ​ In the forthcoming second edition, the focus of the information moves forward from what happened in Eden to considering the results of the Eden events upon our relationship with God and each other. Make no mistake, the actual events of Eden appear to be just as they were presented in the first edition. However, further research since then has shown that the results of those events upon how mankind relates to the Creator, his spouse, children, his neighbors, and even himself is indeed the focal point that we should take from this study.